On the stove top in a small pan over medium heat add the rolled oats, water and a pinch of sea salt. Bring to a soft boil, stir ever so often, and cook until a thick consistency (about 7-8 minutes). 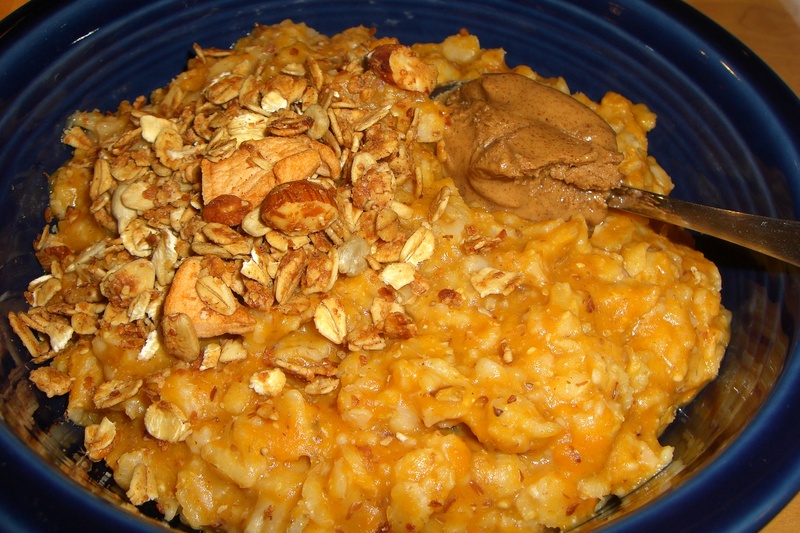 Add the wheat germ and pumpkin puree. Stir to combine and heat through. Pour into a bowl and top with a spoon full of almond butter and the homemade granola .